Resist the yank response when you feel the tug-wait for it…. Tug, yank, dang! Sorry, guide I had another pull but I couldn’t resist setting the hook. Ok, so it’s been a bit of a tough summer/fall season, to say it bluntly the steelhead run size is down about 200,000 fish! 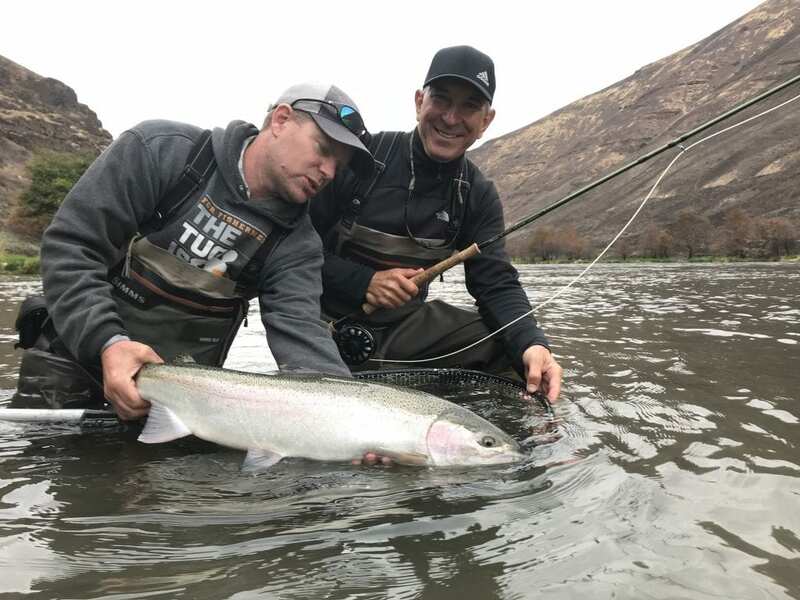 That said we are still finding some steelhead; those glorious amazing fish that can’t resist a swung fly and fight, run and battle as if they were the best fish on earth…because they are! Searching for these fish is an act of persistence and practicing the cast, swing, step down mantra as we work through run after run. When the grab happens the angler needs to be prepared and on a low numbers season you can’t afford to “waste” opportunities! Here’s what happens especially as the season progresses; steelhead take the fly in progressively slower and softer grabs as the water gets colder. Earlier in the season warm water has steelhead in NITRO FUEL mode and they often hit like rocket ships! 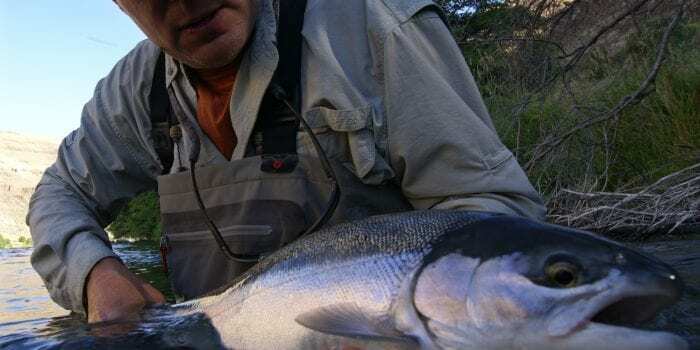 This time of year patience is required on the grab; this extra patience can also apply to the winter steelhead season and especially when the water is cold. As anglers excited for the tug, we can be our own worst enemies. Resist! Resist the urge to yank the rod and set the hook! Over and over new anglers (especially bass fishermen) want to rip those lips off with a big hook set. This simply doesn’t work. When steelhead tug a fly it is most commonly an on, then off pulse. Here is when patience is required; this on, then off, tugs often are in a series of two, three or more tugs. You must wait until the line comes completely tight and secure to the heaviness of the fish in a solid way BEFORE moving the rod. Sometimes even allow some line to come off the reel before the lift. Waiting generally pays the best dividends; it’s almost always better to wait than to be too early. 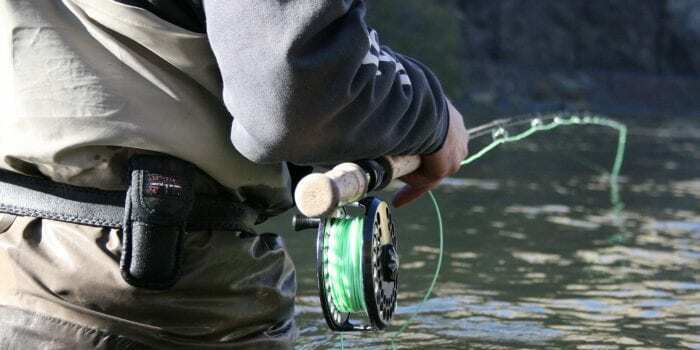 Do yourself a favor when searching for steelhead; when you feel that first tug, pause; keep swinging the fly- wait until you feel everything come tight and heavy as the fish turns with your fly; then put a bend in the rod twoards the bank. This combined with a smooth light drag works extremely well in these conditions.